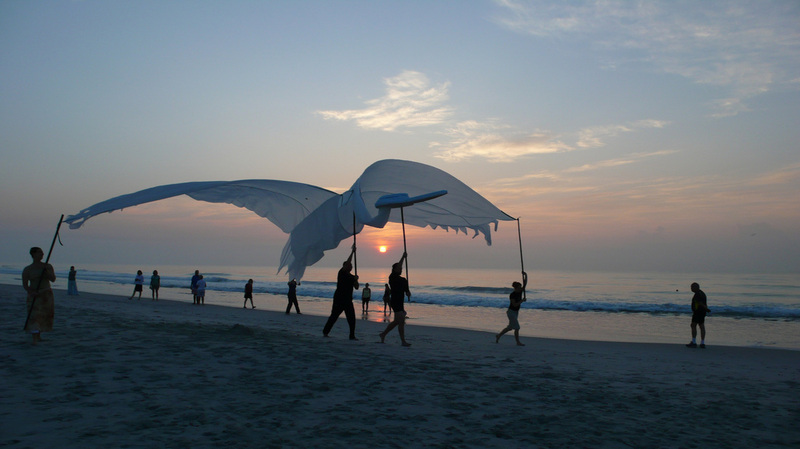 'VOLO' @ SARUS Festival 2014 - Sarus bird flies at Carolina Beach, NC from Karola Lüttringhaus on Vimeo. 'VOLO' is a, rouhgly 30 foot wingspan, sarus crane bird puppet. 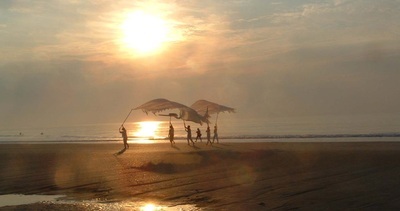 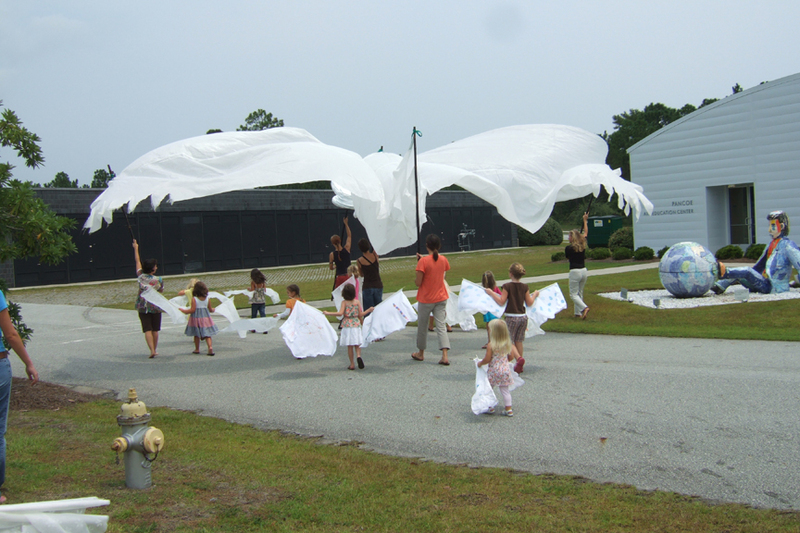 He becamwe the mascot for the SARUS Festival for Site-specific & Experimental Art in 2007 and has been flying along the beach of North Carolina ever since. It takes 5 people to fly him and often people accompany the bird in a parade, dancing and walking along the ocean edge.